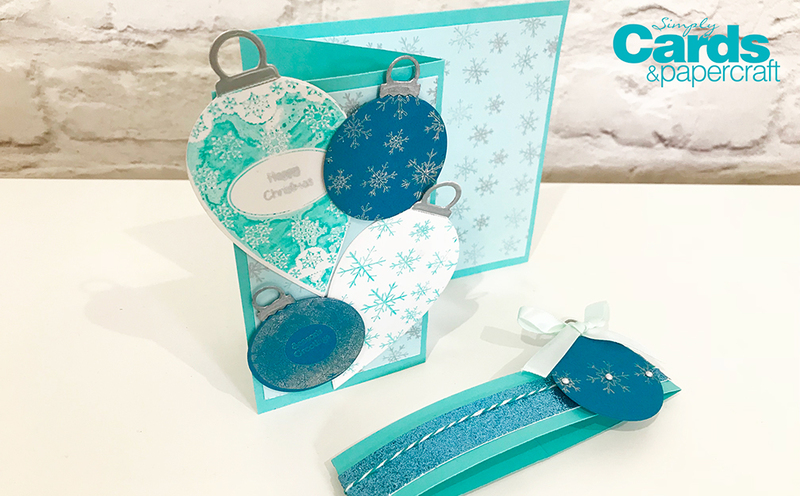 In today’s tutorial we’re sharing how to create an easy bauble Z-Fold Card with a belly band to boot! We use the Bauble Opulence Collection die and stamp set included Simply Cards & Papercraft Issue 183 (available from October 4, 2018) to create a wintery card perfect for the holidays. If you’ve ever wanted to create an easy Z-fold card, then this tutorial is for you! Here are the dimensions of the card base, mats, and belly band. Score at 3 inches and 6 inches.